For many businesses, institutions, construction companies, residential complexes, and more -- garbage compactors are considered a must-have. Not only can they help to reduce the amount of waste that is collected, but compactors come with a number of additional (and lesser known) benefits. Here at Flood Brothers, we not only provide the best in Chicago waste management, recycling, and dumpster rental -- but also a complete variety of compactor solutions, ranging from common sizes and uses all the way to completely custom compactor creations. Which Compactor is Right for Me? Our talented disposal and recycling experts will work directly with you and your business to determine exactly the best fit for your waste management needs. Call us at 630-261-0400 or use our online disposal quote form to get in touch! 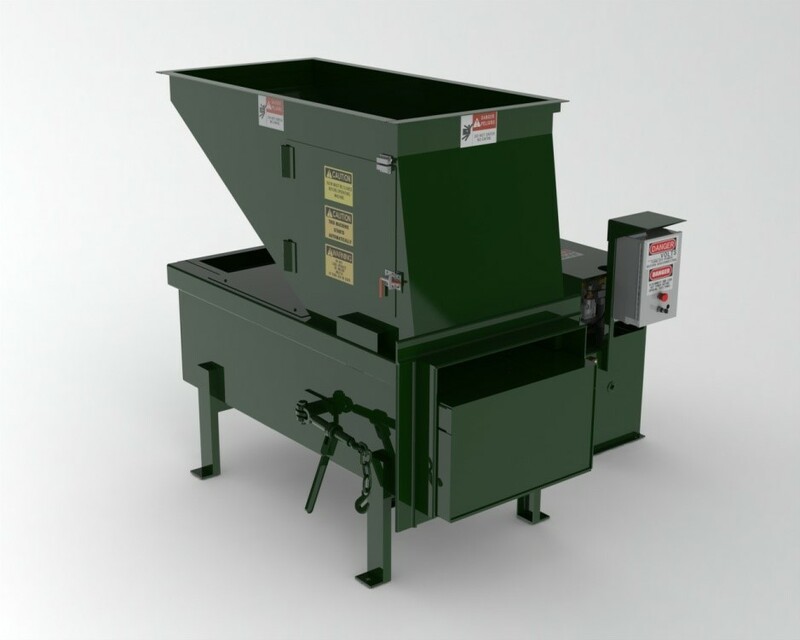 Here's an overview of the different types of trash compactors to help you get started. 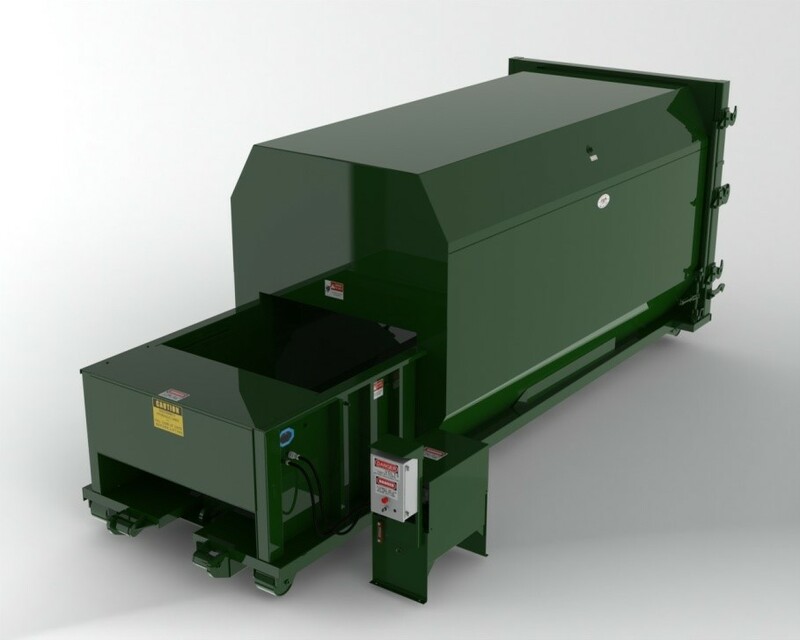 Stationary compactors are typically used in industrial and manufacturing facilities that generate large volumes of dry, bulky waste. The compactor is bolted in place, and the waste material is packed into a receiver box. When the compactor is full, the receiver box is hauled away to be emptied -- and the compactor remains in place. 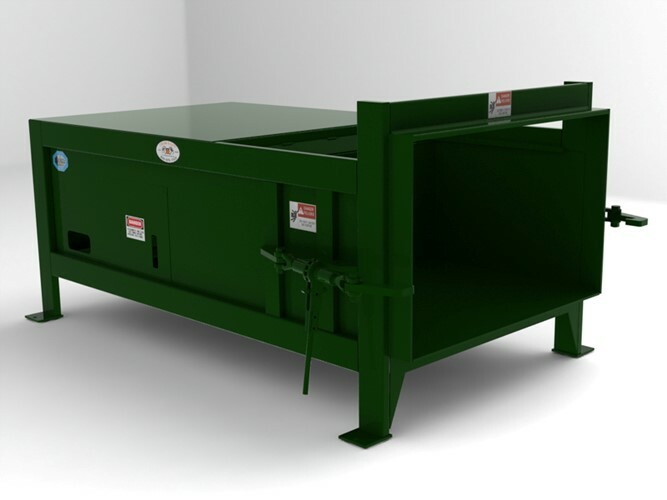 These compactors have loading chambers ranging between 1-4 cubic yards and can be configured for all types of loading. This type of compactor is designed to handle high liquid volume applications. The compactor and container are one unit. When the container is full, the entire unit is hauled away to be emptied. High volumes of liquids are held inside the unit; it is emptied at the landfill. These types of compactors have loading chambers ranging from 1-2 cubic yards, and container sizes ranging from 10-30 cubic yards. 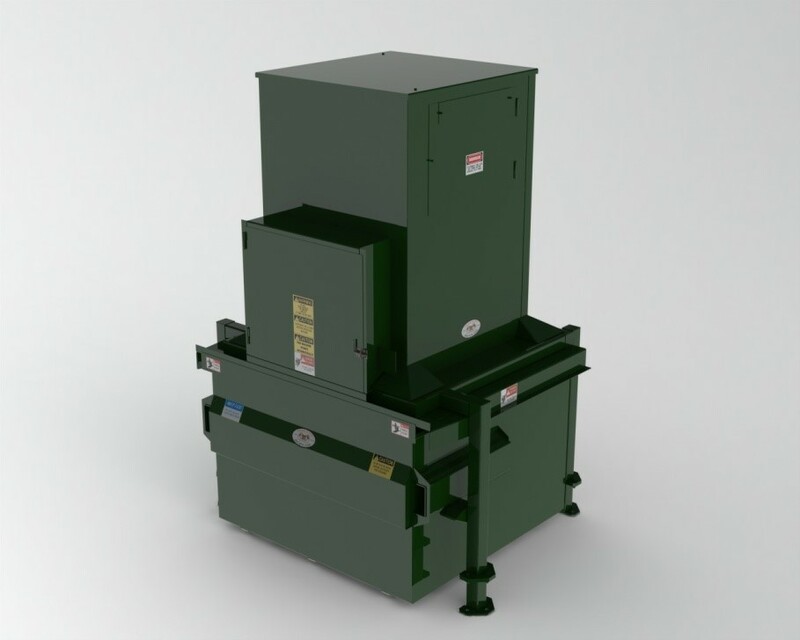 The vertical compactor packs waste down into a removable container. All liquids are held in the container until it is removed from the unit to be dumped. It can be configured for rear and front load pick-up, and multiple containers can be kept on site -- thus decreasing the frequency of pick-up. This type of compactor is designed for use in high rise residential buildings. Apartment compactors are typically chute fed and are controlled by an electric photo-eye. Containers for this type of compactor are typically 2 cubic yards in size. Multiple containers can be kept on site and switched out when they are full. 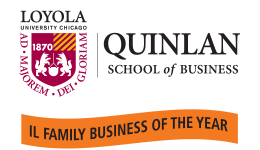 Contact Flood Brothers for a quote on compactors, dumpster rental, recycling service, or any other waste management need in Chicagoland.